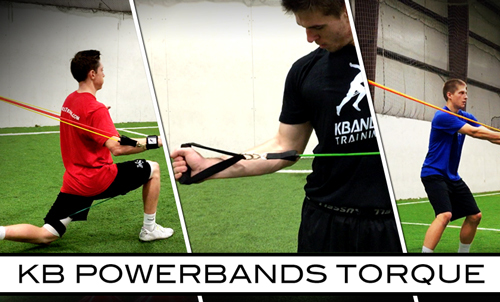 KB PowerBands are a complete upper body resistance bands package. With four levels of resistance bands, wrist straps, ankle straps, a door stopper, handles, and a Kbands Training carry bag you will have everything you need to train. Build strength by adding multiple resistance bands to your handles. Even the strongest will be challenged by KB PowerBands. For beginners KB PowerBands offer as low as 3 pounds of resistance with the yellow resistance band. Mix and match any level of resistance you choose to increase the resistance. Choose the correct level of resistance band for each exercise. By adding two, three or even four resistance bands at a time you will find KB PowerBands live up to their reputation. Place door mount on the inside of the door pulling the door closed. Be sure the door mount is close to the hinge side of the door. 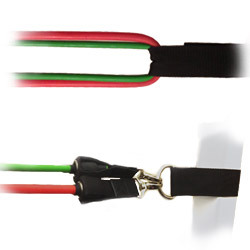 Place adjustable strap around an anchor and attach desired bands. 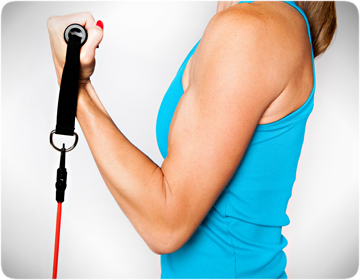 Clip each resistance band for single arm exercises or loop the bands through for two handed movements. Clip desired bands to the handles and begin training. Each handle is durable allowing for multiple attachments. Athletes will build strength and shoulder stability anywhere utilizing KB PowerBands. 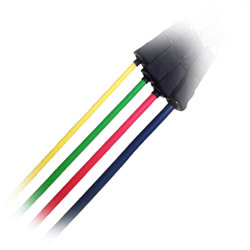 With 4 levels of upper body resistance bands you will find the perfect amount of resistance to train with. Whether you need lighter resistance bands for shoulder rehab training or looking to build a stonger chest, back and arms KB PowerBands are the complete Upper Body Resistance Band Kit you need. Add multiple bands for improved strength. Build rotational power with resistance. Take your bands anywhere with your included travel bag. 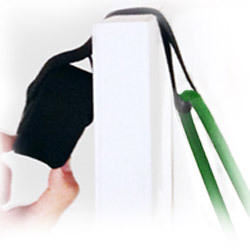 No longer will you need several resistance bands with multiple handles. With your set of KB PowerBands you will be able to adjust the amount of resistance simply by clipping another resistance band on your confort fit handles. Tone with resistance through bicep curls, lateral raises, triceps extensions or even resisted rows today with KB PowerBands. Tone your body with the perfect amount of resistance. 4 levels included in your kit. Hundreds of exercises hosted here on KbandsTraining.com. 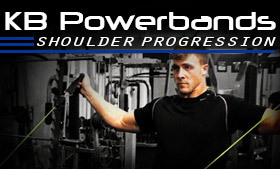 Focus on shoulder stability and strength with the KB Powerbands Shoulder Progression workout. Utilize before throwing or offseason training for enhanced throwing performance. Download this workout program to your laptop, tablet or smartphone and train anywhere. Utilize KB Powerbands to develop rotation power and explosiveness with Torque. 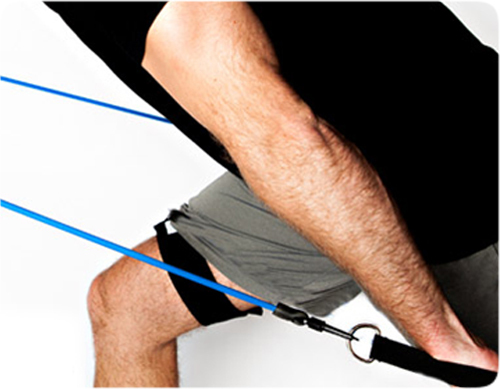 Add multiple resistance bands for to each exercise to challenge even the strongest athletes. Torque can be used on any smartphone or mobile device for instant instructions on technique and workload. 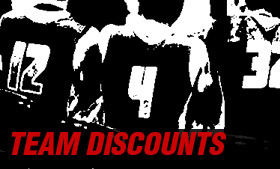 We offer group/team discounts on all orders of KB Powerbands. If you have a team or group looking to enhance their results with KB Powerbands save today with your order.